Home Page > Who Is In Charge? 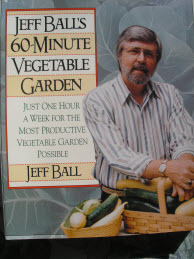 Jeff Ball (1939-2011) was a full time garden writer for 28 years. He wrote 9 books which are the source of much of the information on this site. 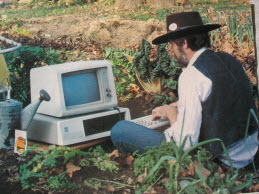 He produced garden videos, a gardening cdrom, and a garden planner software package. For 8 years he was the monthly gardening expert on the NBC Today Show in New York City. He wrote a weekly yardening column for the Detroit News and a monthly column on tools and vegetable gardening in the Michigan Gardener magazine. He lived in central Michigan and, formerly, in Pennsylvania. He coined the term YARDENER SM and was visionary in his efforts to provide expert online help to "homeowners who have lawns and plants to care for, but who aren't really gardeners" (1). His legacy and mission of helping yardeners is carried on through the Yardener.com website. Nancy Szerlag has been a full time garden writer for 15 years. She has had a weekly column in the Detroit News for all of that period. She has written two books. She gives dozens of programs in the Detroit region each year. She has built and cares for two large perennial gardens, an extensive shade garden, a vegetable garden, and a shrub bed. John Davis has been a professional web software developer for 20 years. He lives in central California.